Former Associate Research Professor at the Economic and Social Research Institute (ESRI), Valentin Bertsch, summarises his recent scenario analysis research around the volume and type of diversification in energy generation from renewable sources to meet future targets. The Irish energy White Paper released in December 2015 states the objective of diversifying electricity generation from renewable energy sources (RES-E). 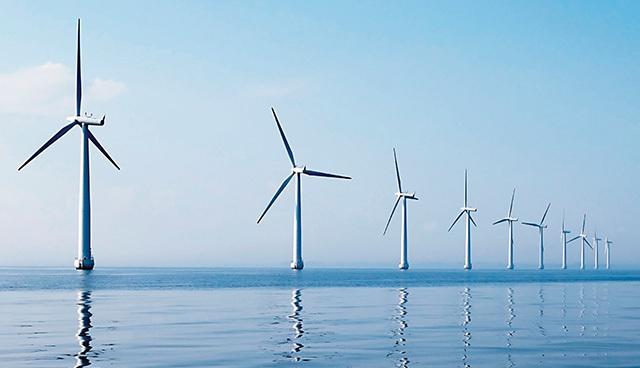 While onshore wind is planned to continue to make a significant contribution, the question arises as to which roles other RES-E technologies, such as solar PV, wind offshore or bioenergy, will play in the future. 1. Achieving the national RES-E target determined as percentage share of energy demand in a cost minimal way under consideration of different diversification approaches. 2. Long-term planning of the electricity system by providing insight into the future regional distribution of generation and demand under different scenarios. In order to address the uncertainty in the demand development (from today’s perspective largely driven by the growth and connection of data centres) and in the 2030 targets, the ESRI consider two different demand development cases (high/low) and three different 2030 targets for RES-E in Ireland (45 per cent, 50 per cent and 60 per cent), which are assumed to increase to 70 per cent, 80 per cent and 90 per cent by 2050 respectively. For each of these cases, ESRI further distinguish between three diversification scenarios: (1) a pure cost minimal scenario (Least Cost); (2) a scenario that assumes a predefined minimum level of diversification of RES-E sources (Diversify); and (3) a scenario that assumes a predefined minimum level of rooftop PV in addition to scenario (2) (Diversify+PV). ESRI have developed an optimisation model specifically designed for the analysis of these scenarios. In the Least Cost scenario, RES-E expansion basically happens through wind onshore only – regardless of the demand case. In the Diversify scenario, until 2030, the most preferred technologies beyond wind onshore are wind offshore and biomass. After 2040, this scenario also sees expansion in ground-mounted solar PV in the high demand case. In the Diversify+PV scenario, there is significant capacity expansion in rooftop PV from 2030 onwards, but no expansion in ground-mounted PV. The amount of installed capacity by technology type varies significantly between the demand cases. In the Least Cost scenario, more than 12 GW of wind onshore will need to be installed by 2050 for the high demand case and a RES-E target of 90 per cent, while less than 9 GW will need to be installed for the low demand case and a RES-E target of 70 per cent in 2050. In terms of the cost effects, ESRI find that the Diversify scenario leads to a moderate increase in discounted costs of around 6 per cent until 2050 compared to the Least Cost scenario. In contrast, the Diversify+PV scenario leads to an increase in discounted costs of around 20 per cent until 2050. In the Least Cost scenario, the most favourable locations for wind on the west coast and in the north of the island are subject to strongest expansion. These capacity hotspots change in both Diversify scenarios. For instance, rooftop solar PV has its most preferable conditions in the south and requires a sufficient amount of population to have the required roofs available. Therefore, generation shifts southwards in the Diversify+PV scenario. Our results show that the uncertain growth in electricity demand creates enormous challenges for policy and planning in terms of compliance with RES-E policy targets, defined as percentage shares of the overall electricity demand. Moreover, we find that, unsurprisingly, wind onshore proves to be the dominant technology across all scenarios. However, bearing in mind the extremely high values of onshore wind capacity that are required to comply with the long-run RES-E targets, it should be noted that these imply enormous space requirements and will almost inevitably lead to problems in relation to public acceptance and land-use planning in general, as other research has shown. This research did not account for costs of grid expansion. Therefore, the higher costs of diversification and PV are likely to be at least partially compensated by lower grid expansion costs in the Diversify scenarios since the RES-E generation is more scattered over the country in these scenarios, and the rooftop PV capacities in the Diversify+PV scenario will mostly be installed in areas of high demand. Nevertheless, the results shed light on the trade-off between the objectives of cost minimisation and diversification. While RES-E diversification may implicitly contribute to reducing concerns in relation to acceptance and land-use planning, it doesn’t come for free. It will therefore be important to understand the trade-offs people make between different RES-E portfolios and the corresponding costs. Valentin Bertsch was appointed Head of the Energy Systems Analysis Department of the DLR Institute of Technical Thermodynamics in August 2018. This article summarises the findings from: Slednev, V., Bertsch, V., Ruppert, M. & Fichtner, W. “Highly resolved optimal renewable allocation planning in power systems under consideration of dynamic grid topology” Computers & Operations Research, 2017.